The mini mill uses a pillar drill style handle for moving the head up and down. This is supplemented by a fine feed control which allows small adjustments to the height. The theory is good, but the practicalities are something else. On my own mill, there is almost a whole turn of backlash on the fine feed knob (about 1.25mm/0.05") which reduces the value somewhat. 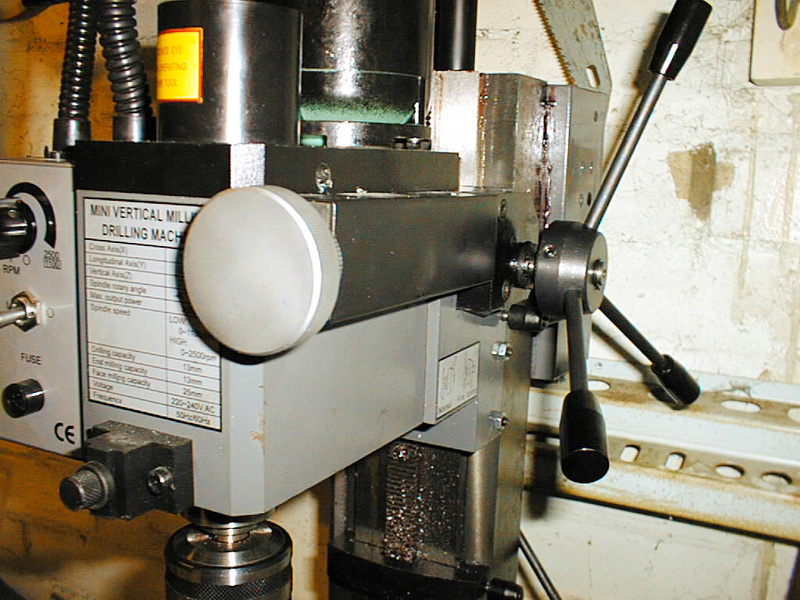 Some mini mill users have improved the situation by shimming the rack and a few other tricks to get the backlash down to a few thousandths of an inch. There are downsides to this, in that more power is required to move the head up and down. As the intention is to convert this machine to CNC, the current Z axis feed has to go. 07-Mar-2003: Here it is, the fine feed control described above. This will be completely removed. This is the game plan for the Z axis. A lapped feedscrew 18mm diameter with a left-handed 4mm pitch square thread. This to be held in tension by taper roller bearings housed in substantial alloy castings bolted to each end of the column. Attached to the head, another substantial casting containing two adjustable brass nuts one of which can be screwed in or out of the casting to compensate for wear. 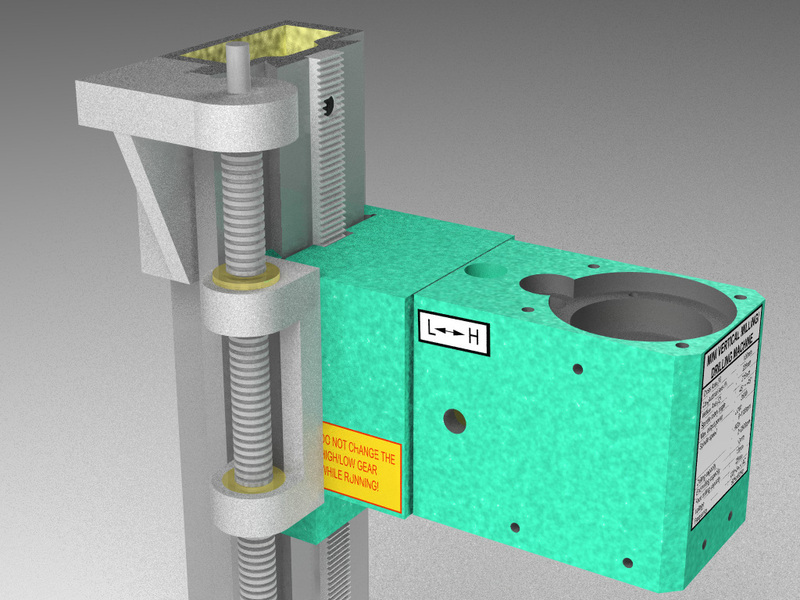 The top bracket will be extended to accomodate a stepper motor.